Cool Stuff My Hubby Does: Solid Lotions! If you don't know my husband, let me tell you, Nick is a VERY talented person. Like, ridiculous. He's an amazing artist (painting is his specialty), an amazing cook (he used to be a chef), an amazing gardener (he has a green thumb x1000 and can bring any plant back from the brink of death - and he landscaped for many years), he's super smart (which is one of the things that I really like about him - and he can talk your ear off about so many topics), and he has great taste in wives (a totally unbiased opinion from his first and only wife). Well, his latest cool thing is that he home-makes a really good all-natural solid lotion. Our daughter has REALLY dry skin, and it has helped her. Nick is really into the whole natural ingredients thing after having looked up the different ingredients that are in regular lotions and realizing there is some weird stuff in commercial products. So, now he has been making his own. I've offered it up to friends and family on Facebook and we can't wait to get some feedback on it. 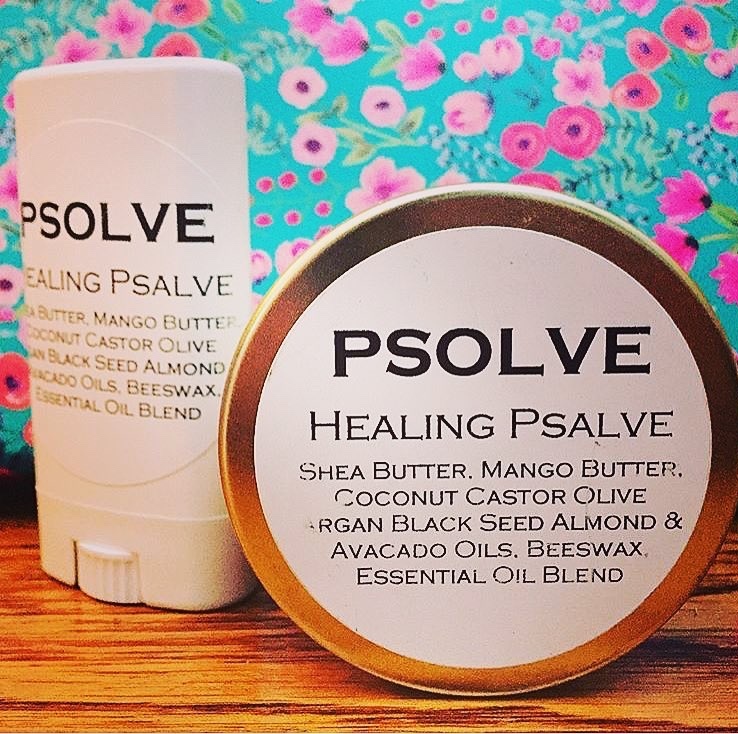 The lotion pictured is called PSolve because the ingredients he picked should be pleasing to people that suffer from psoriasis and eczema. Nick spent a lot of time looking into what natural ingredients help.